In today’s video I want to walk you through what you need to do to finally book those high end clients that are going to help you grow your business. Getting clients isn’t always the easiest thing to do in your business and to get good clients its important to have high ticket services they actually want. Hey there, Cathy Olson here, of Love Inspired, Love-inspired.com and today I’m gonna share with you the secret to booking high-end services. High-end services tend to be one of those things that’s kind of like the unicorn or the magical pony that no one can seem to figure out how to charge more for their services. And of course, if you’re starting at a lower rate it’s gonna be not too crazy to just kind of book a little bit higher and higher and higher, but there becomes a point in every industry where there’s kind of a ceiling, and people don’t think they can get past it. But it’s not true and I want to break down today three things that you can do if you feel like you’ve reached that ceiling of what you can charge for your services or services in general. I want to share with you three things that you can do right now to make this happen. Today I want to share the three things that you can do in your business to kind of shatter that ceiling and to get to the next level. And everything I’m talking about today really comes down to value, because it’s all subjective. Value, cost, price, all that good stuff, it all comes down to people’s perception and also what they get from it. If you are providing enough value there’s really no cost ceiling to that because if it’s important enough and you do a great job, the cost kind of becomes irrelevant at that point. The very first thing that you can do to create more value is actually to add additional services to what you offer. And in choosing this you really want to provide services, extra services on top of what you do that really move the needle for them. You can be thinking about things that they’ll need before they hire you or things they’ll need after they hire you or things that they might need during, while they’re hiring you, to make it much easier and to just move that needle faster. If they’re looking to make more money, or you’re looking to grow their business or something like that, what can you offer that’s additional that you can add to that. Something that you can add that creates more value to them, because you’re giving them more, right, you’re moving the needle faster. Just be thinking about that. 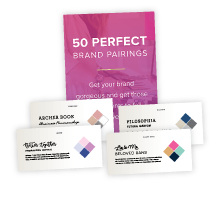 And actually I have a free cheat sheet for you if you want to download that there’s a link below that will help you identify what these things are in your business. That’s the first things you can do, you can provide those extra services that move the needle. And number two, the second thing that you can do, is to get better at selling. 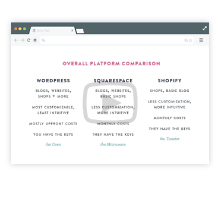 This is one of those things where you pretty much can’t sell high-end services or things that are on a higher-end side, that are more expensive, if you aren’t good at selling. I think that what people really need to realize is that selling does not have to be sleazy or skeazy, or used-car salesman, none of that, right? Really all selling is, is to show what you offer in a different way so that you kind of breaking through whatever their objections are to get them to that place, so that you can help them. That’s really all that sales is. It’s really the only thing that sales needs to be, is just breaking through objections so that people don’t stop themselves from purchasing the thing that will get them to what, they result they want. If you think about sales in that way it doesn’t feel quite as sleazy and skeazy because it’s really just connecting people with what they really want. That’s a simple sales process. Is just identifying who this is for, what this does, and what I can do for you. And so just make sure you’ve not selling things as basically features, you’re not kind of telling people what’s included in the package, but you’re actually explaining to them who this is for and what this does for them so that people can connect those dots a little bit better. That’s the basic level of sales. You just want to focus being better at sales and then you can close more high-end deals. 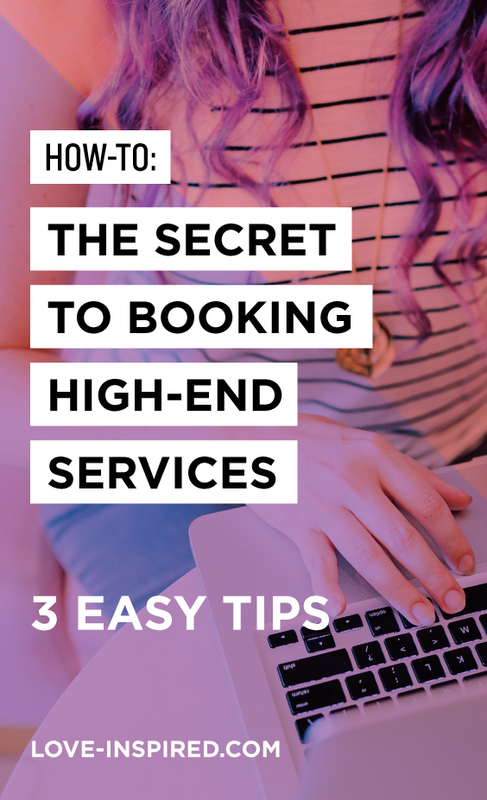 And the third thing that you can do to book more high-end services is kind of obvious, but maybe not so obvious, but to become the best at what you do. I swear this is not as hard as it sounds. You just need to become a better version of yourself, whatever that looks like. I’m not saying that you need to be the best in the entire world at what you do, but you need to be better at what you do. Because when you become a better version of yourself you do a better job, obviously, but you become confident in your services and you become confident in what you do and you’re able to look people in the eye and tell them straight, I know I can help you and I know that I’m the person to do this. And once you have that inner confidence to do it and you know you can do an amazing job for them that makes all of the difference. I want you to become just a better version of you so you have to become better at your services in order to sell them for more. I’m not a fan of just charging more for something without giving extra value, being better at what you do and I’m just not a fan of teaching people how to charge more unless they really are doing a better job. I mean really, it’s kind of simple. I will say if you’re missing any of these things, if you’re not providing extra value, if you’re not selling it very well and if you don’t have the confidence and you’re not doing a very good job, none of this is going to work. These three things are really important and you need all these three. And I don’t want to leave you hanging high and dry, just say, okay, Cathy, but how do I do this? I want to walk you through the next step. Make sure you grab that download, and we can walk through this together and I can help you with it. They’re gonna get you to that place where you can book more high-end services. Thanks, guys. 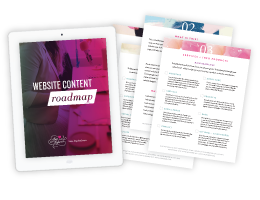 Watch this quick & free training on 3 simple things YOU can change on your website RIGHT NOW to increase your sales and book more of the clients that you REALLY LOVE! Want some personalized suggestions from Cathy to make your site a client-booking machine?